One of my many interests is HF propagation study. For years I’ve wanted to study HF propagation by monitoring broadcast station signals on the HF band. The challenge with this sort of work is that very stable receivers are needed since one has to “zoom” in on the signal down to say 2.5Hz to either side of the carrier signal of the broadcast station! If a very stable receiver is not used (in the range of 1ppm drift or better) then the carrier being monitored will simply drift right out of the pass-band of the monitor software. Therefore, that puts all receivers that don’t use at least a TCXO (temperature controlled crystal oscillator) out of the question. With that said, things have come a long way since I first became interesting in this subject. Today we can capture reasonably stable HF dopplergrams with a SDR that cost $20! For an excellent explanation and background regarding HF propagation and dopplergrams please visit ZL1BPU’s site. I’ve been experimenting with HF Doppler using an RTL-SDR Blug V3 which has a TCXO in place of the less stable crystals which these cheap units normally use. I’ve been pleasantly surprised with the frequency stability of this unit! 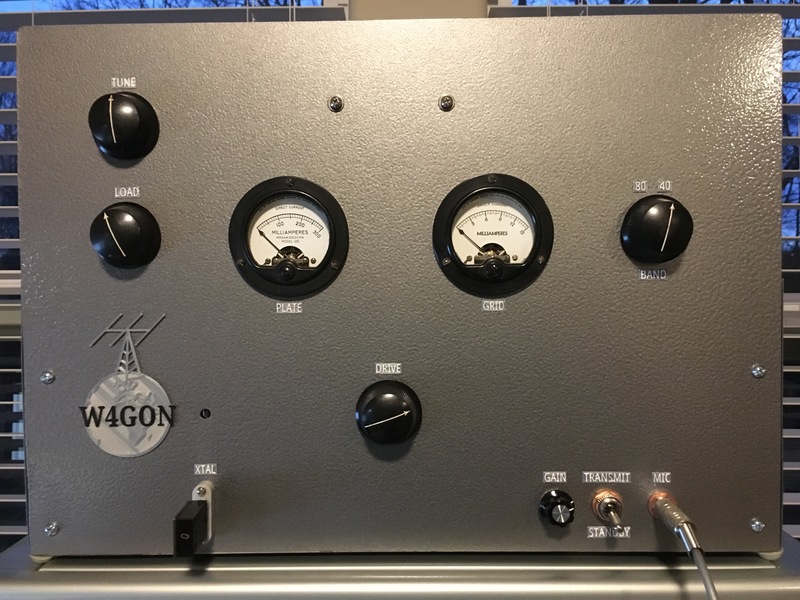 It has allowed me to do interesting experiments related to HF propagation. Following are some examples with explanations of what you can expect to capture with a similar setup. This example is of WWV on 10MHz using a 5 Hz width setting centered on the carrier. WWV is 1,700km from my location (Tennessee) and at 10MHz the propagation is at a lower angle and 100% via the F layer since the E layer isn’t typically ionized enough to reflect signals at these higher frequencies. The times are local and sunset is around 1720. 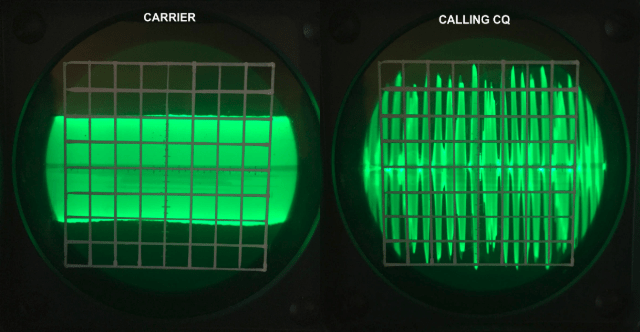 The variations on the carrier are caused by the F layer reflection points oscillating up and down and causing a Doppler shift up or down in frequency depending on the direction of movement. You can also see two distinct lines in the plot and these are the right-hand and left-hand circularly polarized signals or ordinary and extra-ordinary rays. About 40 minutes after sunset the ionization level starts to drop closer past the levels needed to cause reflection and you start to see both the low path and high path ray (Pedersen ray). As ionization keeps dropping the two rays get closer until they meet at the ‘nose’ of the dopplergram and you get skip fadout and the band closes! 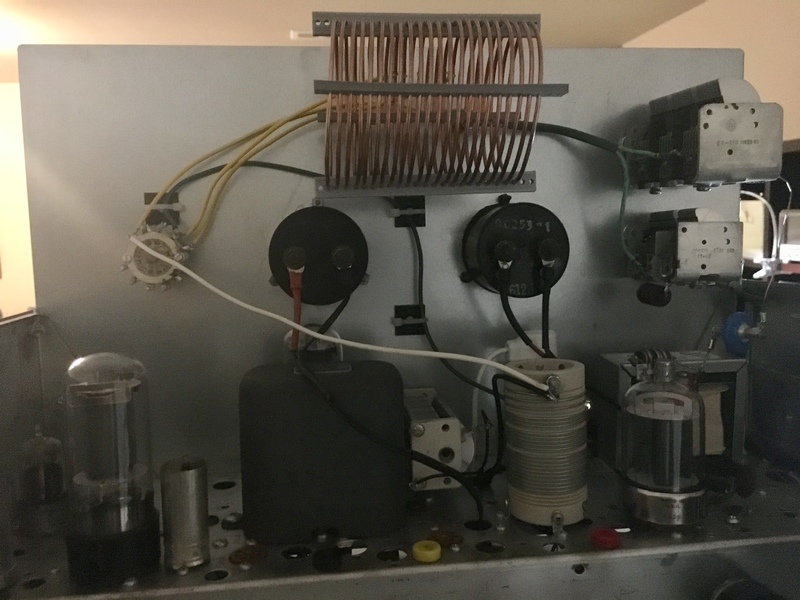 Ham radio operators are very familiar with this phenomena and the response it to spin the radio dial down in frequency to the next lower Ham band to continue operations. This is a morning dopplergram of CHU on 7.850MHz at around 1,450km distant. As expected, there is a fold-back pattern similar to the evening example above, but in the morning the pattern is flipped and the fold-back occurs on the high frequency side. The E layer is clearly visible as it becomes ionized and begins playing a role in propagation at around dawn local time. The fact that we can differentiate between E layer and F layer propagation in this dopplergram is fascinating to me. Not only can we tell the difference, but we can also tell what mode of propagation is occurring at any one time. For example, we can see that initially we have direct ray propagation from the F layer (well defined line) and then it changes to F layer scatter. Here is another example, this time monitoring WWV on 5MHz. The times are local and sunrise is around 0630. At 5MHz the E-Layer is involved in propagation during the daylight hours and can be seen on the dopplergram starting at around dawn. F-Layer scatter coming down from the high frequency side at around dawn is also visible as the F-Layer starts to give out due to D layer absorption and by 1000 only E-Layer propagation is visible. Now this example is the main reason why I wanted to experiment with HF dopplergrams. This is an example of ocean wave Bragg scattering off the Atlantic from WEWN on 15.610MHz. WEWN is only about 150 miles from my location so on the higher frequencies I’m well inside the skip zone of the station. During the day WEWN broadcasts on 15.610MHz beaming first to EU at 40 degrees and then Africa at 85 degrees. It’s a perfect setup to watch how the signal backscatters off the northeast US landmass as well as the Atlantic ocean during the 40 degree broadcast and then only from the Atlantic ocean during the 85 degree broadcast. On this dopplergram you can see that while its beaming 40deg you see the center trace which is backscatter from a landmass. Then on either side you see two more traces which is Bragg scattering from the Atlantic off the side of the beam. The sidebands are .40Hz to either side of the center signal. The formula to get the spacing of the sidebands is Hz = 0.1*sqrt(MHz). So here is the cool part! When WEWN switches to 85 degrees, the landmass backscatter goes away and you are left with just the Bragg scatter which is being reflected back from somewhere out in the Atlantic. From observations of wave direction patterns it looks like the reflection area is near Bermuda for my particular setup. So if the waves in that area are predominantly moving towards me we should get a stronger upper sideband and weaker lower sideband. If the waves are mostly moving away we should see a stronger lower sideband. In this example there was an area of high pressure that was causing the waves to go both towards and away from me in the reflection area so both sidebands are really close in intensity. 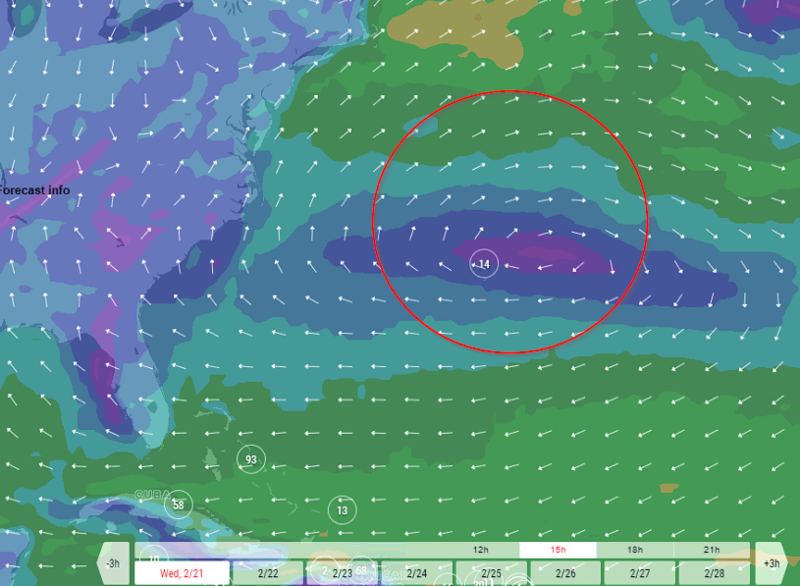 Check out the wind map, the red circle is where I think the backscatter is originating from. Here is an example of the lower Bragg sideband reflecting stronger due to the predominant wave direction moving away from my station in the reflection area. The slight variations in the signal frequency in the plots is receiver drift due to temperature variations (AC turning on and off). Therefore, this is the level of stability expected from this particular SDR unit. It’s good, but it could be a lot better. An example of Bragg Scattering in the frequency domain. Finally, this technique can be used as a sort of CW Doppler radar. On the below plot all the long traces above and below the carrier are airplanes. You will want to tune into a shortwave station that is near your receiver. Within 100 miles or so should do. As airplanes come in range of the “radar” they reflect some of the signal and it shows up on the plots as Doppler traces first with a high frequency Doppler shift and then a lower frequency Doppler shift as the airplane passes by. This is a similar effect as when an ambulance passes by and the siren is higher in pitch as it nears you and then lower in pitch as it passes by. One can also calculate the speed of the airplanes by taking the Doppler shift observed and multiplying it by the half wavelength of the monitored frequency. In addition meteors can be monitored with this same technique and can be seen on the below plot as the vertical “squiggly” lines. These are meteor Doppler trails! Hope you enjoyed the post and happy experimenting!